Mental health is a topical issue in the UK and firmly under the microscope of government. Prime Minister Theresa May said in January this year that, “For too long mental illness has been something of a hidden injustice in our country, shrouded in completely unacceptable stigma and dangerously disregarded as a secondary issue to physical health.” Last week in her speech at the Conservative Party Conference, the Prime Minister announced they will be launching a review of the Mental Health Act to address the established injustices in the system. The government has also recently committed to additional funding in support of mental, both for the NHS and for the private sector. The government’s response can’t come soon enough. Mental health statistics in the UK are alarming. Approximately a quarter of people in England will experience a mental health problem each year, with anxiety and depression being the most commonly reported. 8% people meet the criteria for diagnosis. Mental health affects approximately 15% of UK employees and contributes to a significant loss of staffing and financial resources for organisations. Common mental health problems are more prevalent in women than men, and nearly double the amount of women are diagnosed with anxiety disorders. Children also suffer from mental health problems, with 10% of children and young people (5-16 years) have a clinically diagnosable mental health problem. However, 70% of this same group haven’t received the necessary support or interventions. Depression is on the rise in the UK’s ageing population, with approximately 22% of men and 28% of women aged 65 and over being affected. Men are three times as likely to take their own life than women, and it is the most common cause of death for men between 20 – 49 in England and Wales. These statistics only tell part of the story of mental health in the UK and around the world. 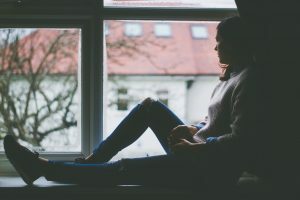 Despite the fact that they obviously prove an urgent need for action and reform, mental health is still often considered the “Cinderella service of the NHS.” Professionals worry that physical and mental health problems aren’t treated with the same degree of seriousness and patients often face stigma. And there doesn’t look to be any immediate relief from these challenges. As members of the Imperial College community, we have the power to advocate for change and help end stigma around mental illness. Imperial College London is committed to promoting positive mental health and wellbeing and included it as a priority in their Strategy 2015-2020. The College also offers and signposts to a variety of mental health resources, as well as offering Mental Health First Aid training for staff to support colleagues and students. Imperial College Business School’s Healthcare Professional Interest Network originated as a forum to bring attention to topical issues, like mental health, and create a space for intelligent debate and discussion. For the last seven years, they have hosted numerous successful events and grown an expanding global network through their LinkedIn group. The Network’s next event is on the evening on 9 November and is titled, The state of mental health in the UK: Where are we going wrong? They have attracted a panel of experts, including Sir Simon Wessely, FMEdSci, King’s College London Regius Professor, Stuart Mulheron, Commercial Lead Neuroscience at Johnson & Johnson, and David Gilbert, Patient Leader, InHealth Associates. They will discuss the current mental healthcare situation in the UK and the many challenges this critical area faces. Pharmacists – the new guardians of breast cancer care?